Each pair of shorts have been individually stitched with fabric sourced out in Bali, Indonesia. The fabric design only has a limited run of 50 across all sizes. This fabric will not be produced again and is Limited Edition. 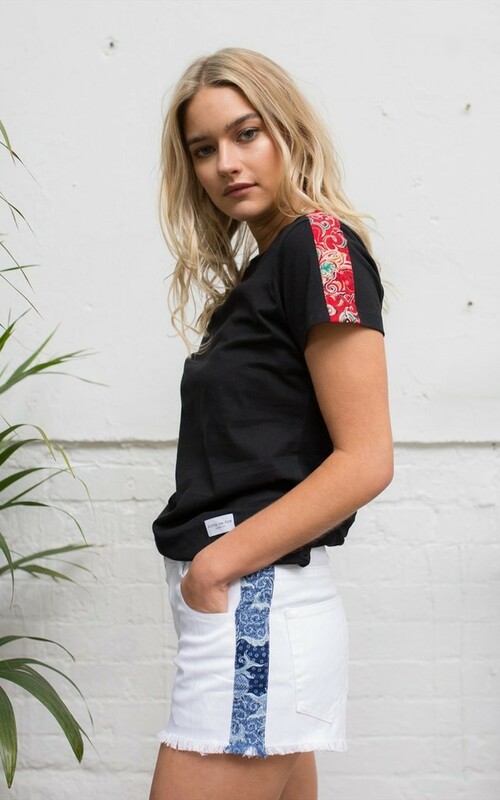 Each top has been individually stitched with fabric sourced out in Bali, Indonesia. Great casual item with a touch of colour for any look and especially a pair of shorts!